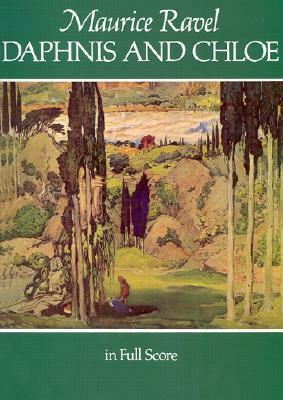 Often described as Ravel's orchestral masterpiece, Daphnis and Chloe is a 20th-century classic, a rich musical setting of the Greek novel by Langus. Commissioned by Diaghilev for the Ballets Russes, it premiered in Paris in 1912, with Nijinsky in the role of Daphnis, and Anna Pablova and Tamara Karsavina alternating in the role of Chloe. Ravel's lush scoring for this Greek pastoral dramatically displays his genius for transmuting a traditional musical idiom into a fresh and stirring language of his own -- now audacious and driving, now softly and hauntingly beautiful. It reveals, too, in the logic and sweep of its technical effects, Ravel's constant striving for perfection of form and style. (Stravinsky compared him to "the most perfect of Swiss watchmakers.") This definitive full-score edition, reprinted from the original French edition, duplicates the full ballet score, not merely the orchestral suites adapted from it.